Schlegel Bicycles specializes in the details of cycling and personalized service including the basics of proper clothing and nutrition, custom fitting of bicycles to optimize the performance for each individual cyclist, training classes and a superior service department. 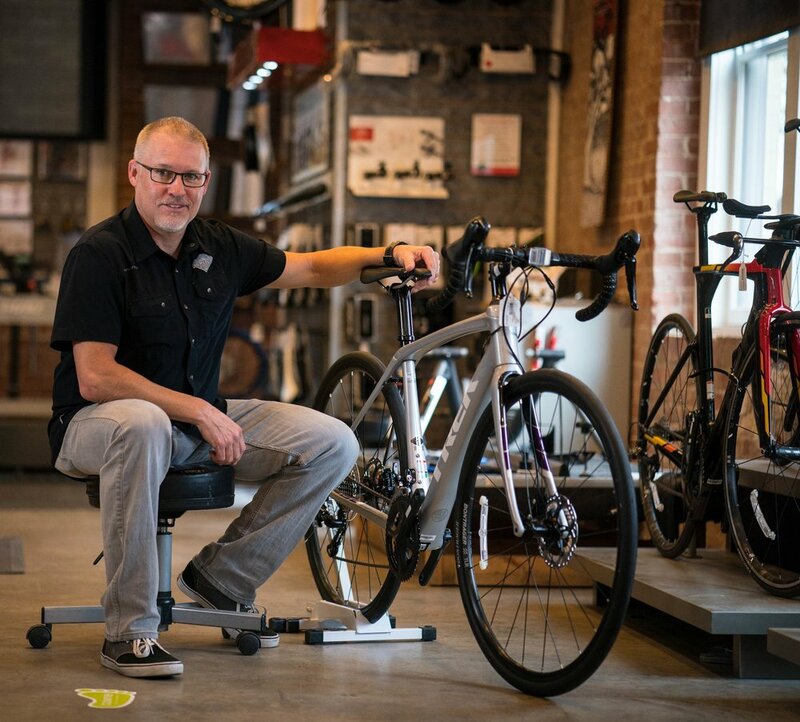 In 1994 after 14 years working in the bicycle industry, Steve Schlegel opened his own shop on the south side of Oklahoma City, called The Bicycle Store Too. Initially a small store with only 4 employees, it continued to grow, and in May 2007, a new location was opened under the name Schlegel Bicycles. The store, in the heart of Automobile Alley in Downtown Oklahoma City, became successful almost immediately. In the same year, the store was named one of the Top 100 Bicycle Retailers in the USout of a total of 5,200 stores nationwide. Steve has been a life-long racer, and won multiple Oklahoma State Championships in all disciplines of cycling (road, mountain, cyclocross, time trial, triathlon and criterium) from 1986-present. He has also competed as a Cat 1-2 in many regional and national races. Steve was awarded the Jim Thorpe Cycling Man of the Year award in 2004, and has been recognized in his business career. In 2005, he was nominated for OKC Biz Forty Under 40. His certifications and organization memberships are too numerous to name, and he continuously strives to share his passion for cycling with the community. His life's passion has been being a part of the local cycling community and working with local city organizations to improve the future of cycling in Oklahoma City.